Cresta President Hotel in Gaborone has a total 92 Luxury Rooms, consisting of 85 Standard Rooms, 1 Presidential Suite, 5 Executive Suites and 1 Paraplegic Room. 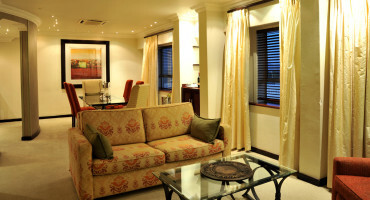 In the heart of Gaborone, you’ll discover the ultra elegant and sophisticated Cresta President Hotel Gaborone. The first accommodation of its type to be built in Botswana. 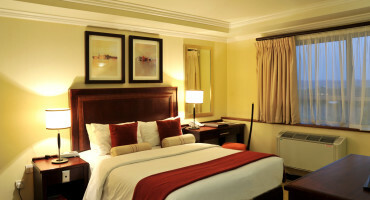 Whether it’s sealing the deal using the highly functional conference facilities or getting that all-important night’s rest in our exquisite rooms, Cresta President Hotel Gaborone covers every businessman’s needs. Take precious time from your demanding schedule to meet new people from all walks of life. The Cresta President Hotel Gaborone boasts a range of delicious cuisine and an all-accommodating staff that could be mistaken for friends. After a day of fast-paced business and difficult decisions, relaxing on the terrace in the evening or unwinding with cocktails at the Pula Le Thebe Lounge is certainly needed. Awaken your creative side and visit the National Museum, the art gallery, the Parliament buildings, the Mokolodi Game Reserve and the House of Chiefs, which are all within easy access from the hotel. In the first mall of Gaborone, you will discover the first hotel to be built in the nation of Botswana: Cresta President Hotel. 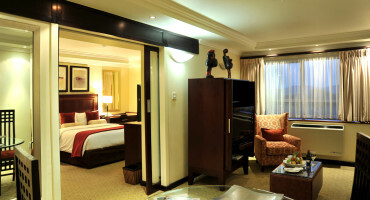 It prides itself of its rich historic background and the essence of offering true warmth of African hospitality. Towering among many government buildings and major corporate companies it surely covers every business man‘s needs. As the first accommodation of its type in Botswana it offers you the venue and THE atmosphere to seal all business deals using the high functional conference rooms and all its different luxurious rooms. The Brigadier Conference room is an oasis for every business man, in the city were business never sleeps. From the name derived from army protocols, one is not mistaken at the formality and exceptional service. This conference room offers you the convenience of being in direct access of many government offices and private companies. The conference rooms are well designed with state of the art facilities to accommodate all types of meetings and events such as private parties and weddings. The Terrace Restaurant is located on the first floor of the hotel and it is a contemporary modern designed restaurant, which offers elegant FULL RANGE and delicious cuisines for guests from all walks of life. It is very popular for its local traditional cuisine, which is served every Wednesday and Friday.